Have a spin courtesy of Twin Casino! Twin Casino is giving away 20 Twin Casino Free Spins No Deposit on registration. 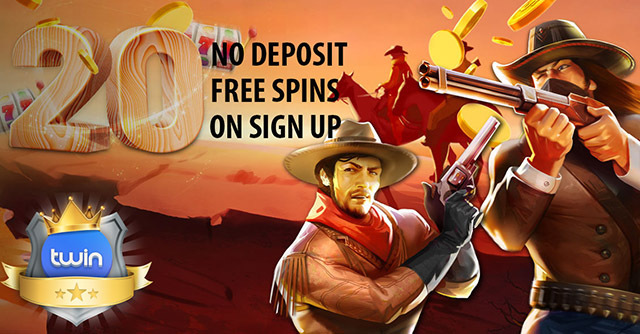 Get immersed into the world of the Wild Wild West with 20 Sticky Bandits No Deposit Free Spins. This Quickspin game is a 5×5 slot which has massive wild symbols of the train heist villains. In addition to claiming your 20 Twin Casino Free Spins No Deposit, you can also enjoy the cool Twin Pack Welcome Bonus with free spins! Check out these great welcome offers below. Sign up for a Twin Casino account. Verify your email address and account details. 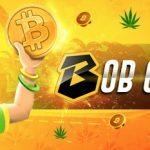 Log into your newly created casino account to claim your 20 Sticky Bandits No Deposit Free Spins. Deposit €50 to get an additional 50 Free Spins on the Dwarfs Gone Wild with your bonus. Deposit €50 to get another 50 Free Spins on the Dwarfs Gone Wild with your second bonus. The minimum deposit to claim these bonuses is €/$20. Free Spins winnings carry a 35x wagering requirement. Free Spins must be used within 7 days after activation. The welcome bonuses carry a 40x wagering requirement. Deposits made with Skrill are not eligible for the welcome bonus offers. 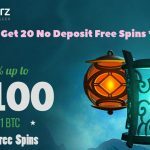 No deposit free spins winnings shall not exceed €100. 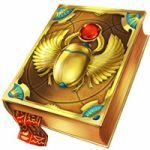 The following games do not contribute to fulfilling wagering requirements when bonus money is in use: 5 Lions, Beautiful Bones, Big Bang, Blood Suckers, Bruno Bingo, Castle Builder, Castle Builder II, Da Vinci’s Treasure, Dead or Alive, Devil’s Delight, Eggomatic, Eye of the Kraken, Gemix, The Wish Master, Tower Quest, Treasure Island, Wild Rockets, Zombies, Jack Hammer, Jack Hammer II, Kings of Chicago, Madame Destiny, Pearls of India, Peking Luck, Robin Hood, and Scrooge. Restricted countries: Albania, India, Thailand, Vietnam, China, and Croatia.